Travel | Batta bing, batta blog! 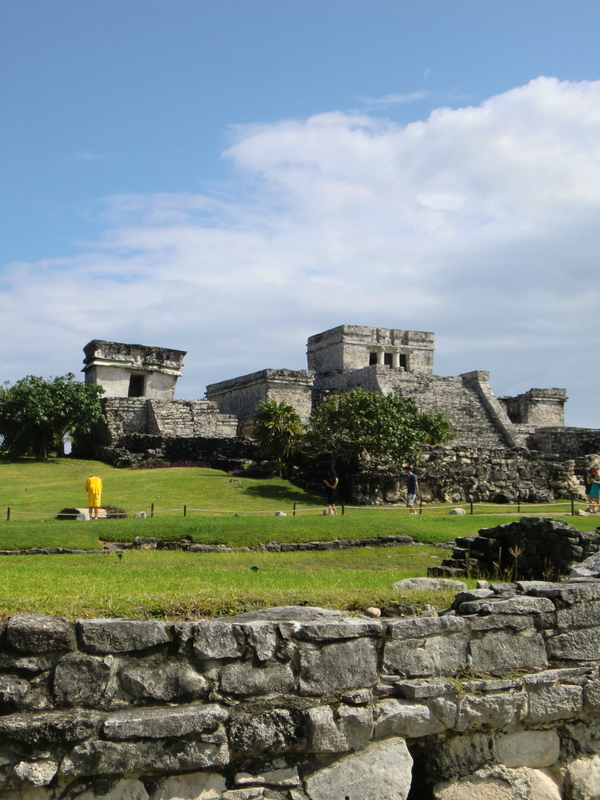 Welp, I didn’t get around to posting part dos of our Mexico trip when I said I would. I’m terrible. Let’s not dwell on the fact that I can’t keep a deadline and instead jump right in to it! 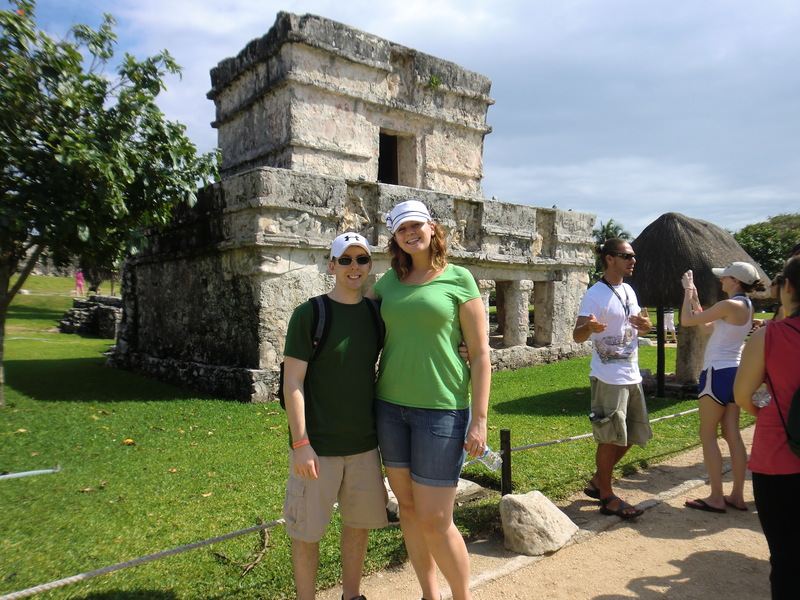 We were up bright and early on our second day for our adventure to Xel-Ha. 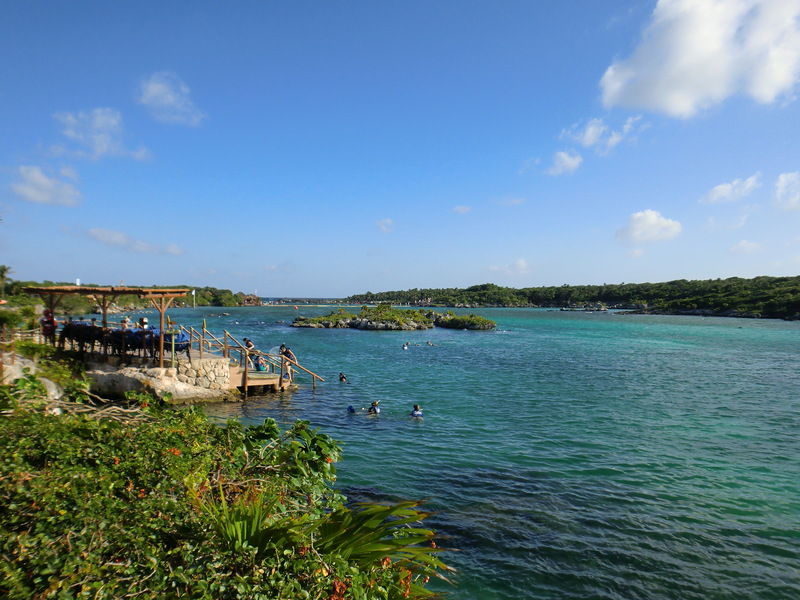 Xel-Ha (shell-ha) is an all natural water park. They call it an aquarium park. The place is massive!! 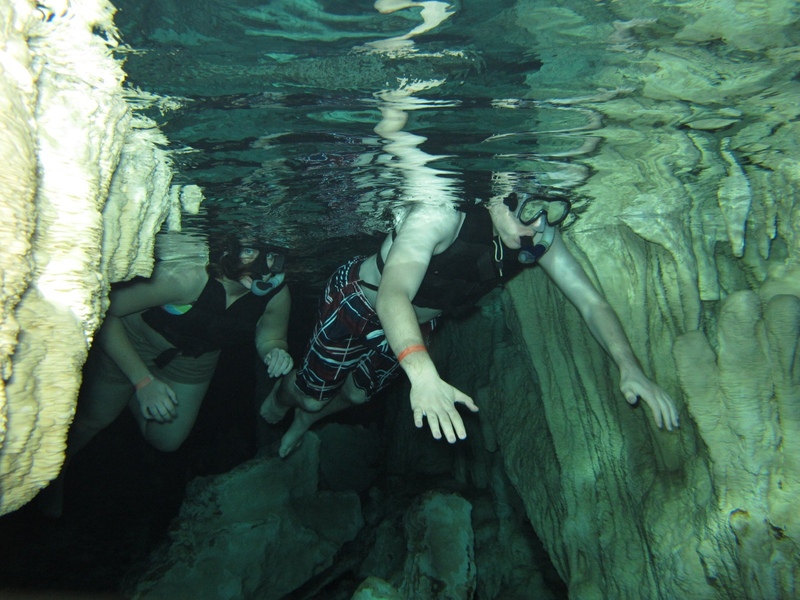 They have lots of attractions, swimming with dolphins, swimming with manatees, snuba-ing (that thing where you can almost scuba dive except it’s just the big helmet you wear underwater), lazy river, lagoon for swimming and snorkeling, and much more. Our morning started off with our swim with dolphins. Unfortunately, I broke out in severe hives that morning and felt it might not be best to be around the dolphins. I didn’t want the dolphins to sense that I was nervous and I certainly didn’t want them to make my hives worse. So I had to sit that activity out :(. 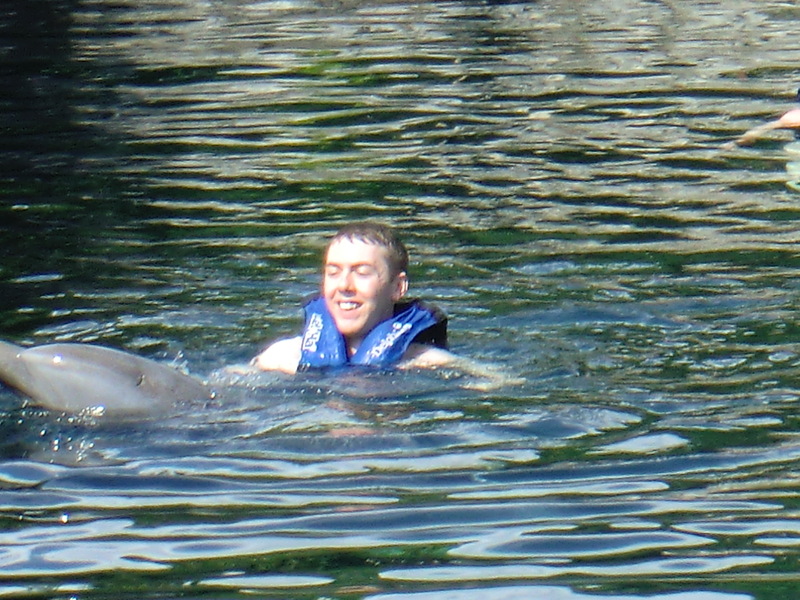 David on the other hand got to swim with the dolphins and he thoroughly enjoyed it. Afterwards we enjoyed some breakfast. 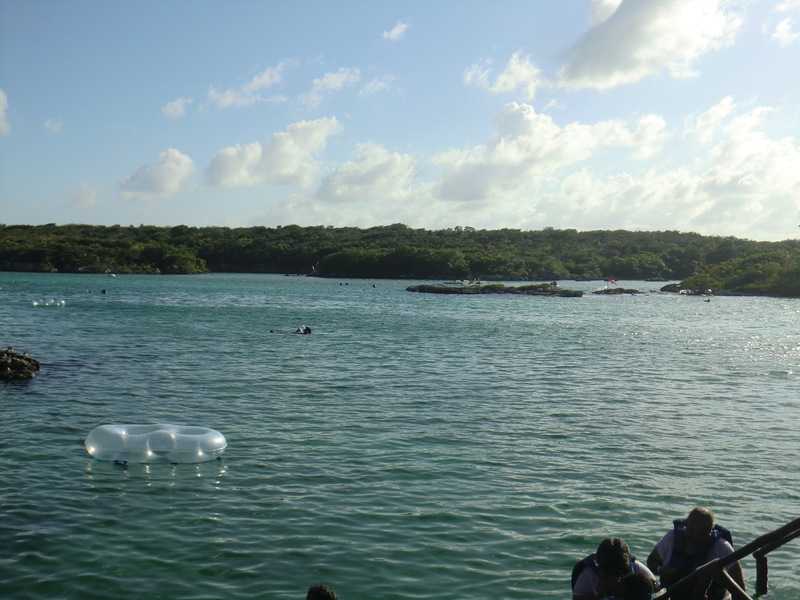 The great thing about this water park is not only is it absolutely beautiful and all natural, it’s also all inclusive! How awesome is that!? We could eat, drink and swim our way through the day without having to drain our wallets. It was pure bliss. On top of that the food was even pretty decent! The drinks were fabulous and the bartenders would gladly strengthen your drink upon request ;). 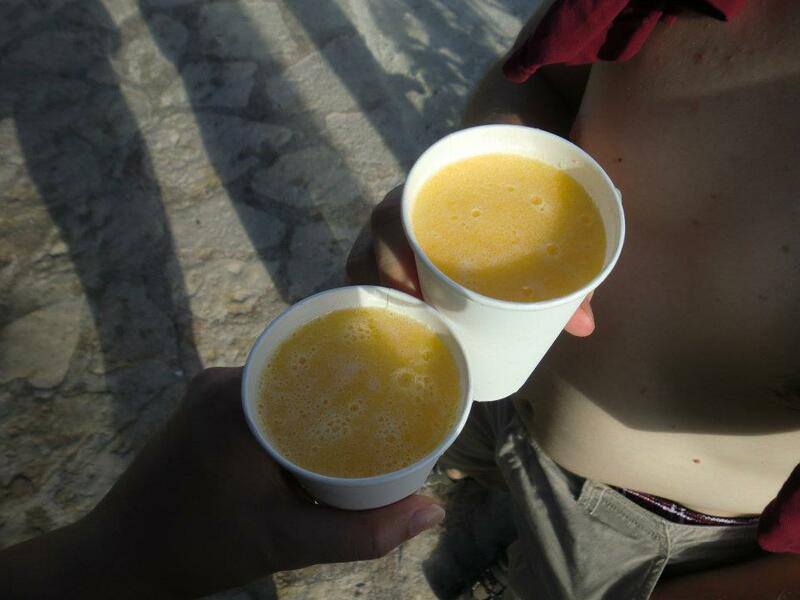 I have a new found love for mango margaritas because of our day at Xel-Ha. 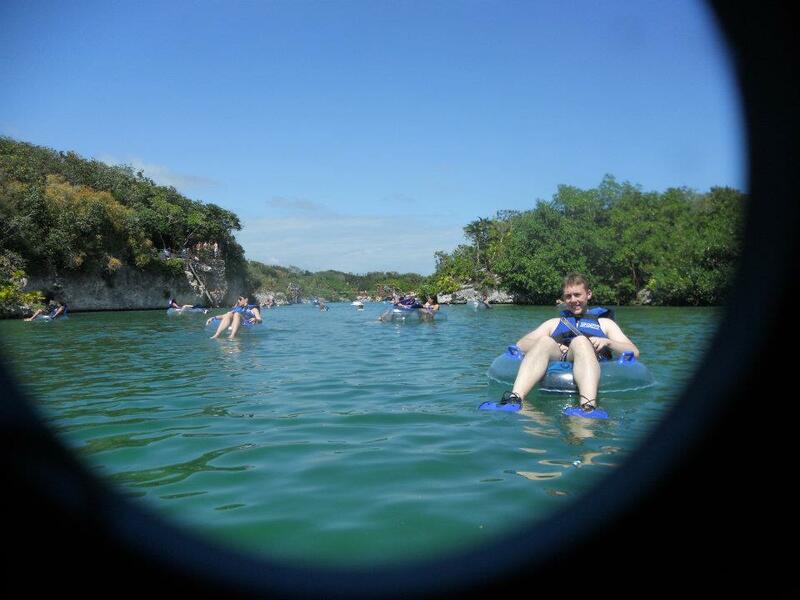 Once stuffed to the brim we spent our afternoon on the all natural lazy river, floating in a tube and stopping on occasion so the brave ones in our group could do some cliff jumping, obstacle courses or zip-lines into the water. 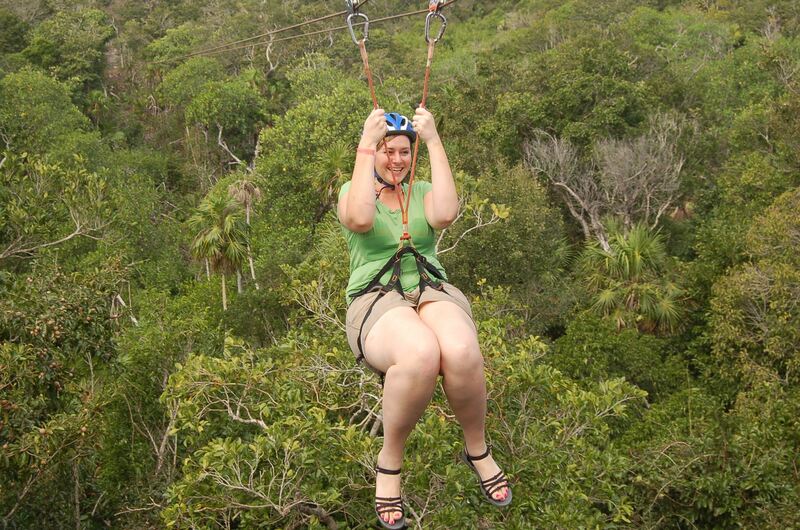 I had had my thrill of zip-lines and all things adventurous the day prior so I was just fine hanging out in my tube :). Towards the end of the river we ditched our tubes and opted to swim the remainder of the river then through the lagoon back to shore. This sounded simple and fun. 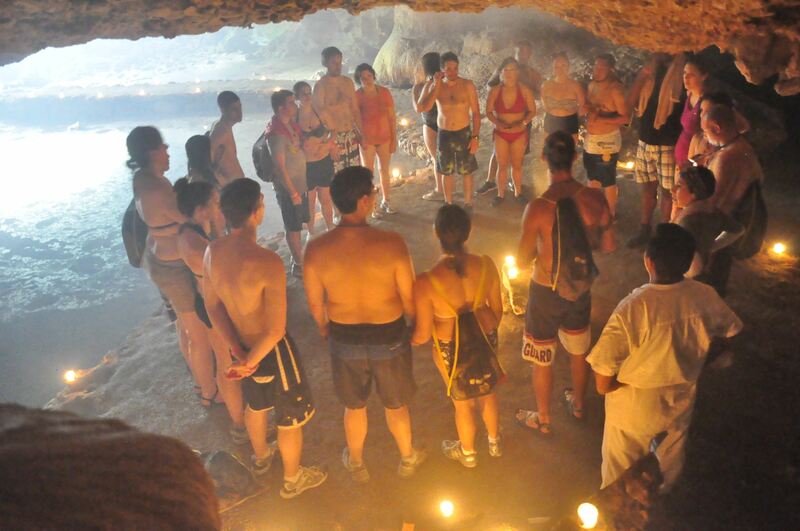 It would also allow us to snorkel and see all the fish and cool stuff underwater. It didn’t occur to me however that I was the only one in the group that didn’t rent flippers, therefore I would have to use all my might to actually swim against the waves on top of the water and the current underneath the water. It was rough. Not nearly the relaxing enjoyable snorkeling experience I was hoping for. I did make it back to shore safe and sound. My arms were sore for the next 4 days from swimming so hard. After our afternoon on the river and in the lagoon, we spent the last remaining time hanging out in the most relaxing hammocks ever! I love a good hammock and these were no exception. I could have easily fallen asleep while holding my mango margarita. 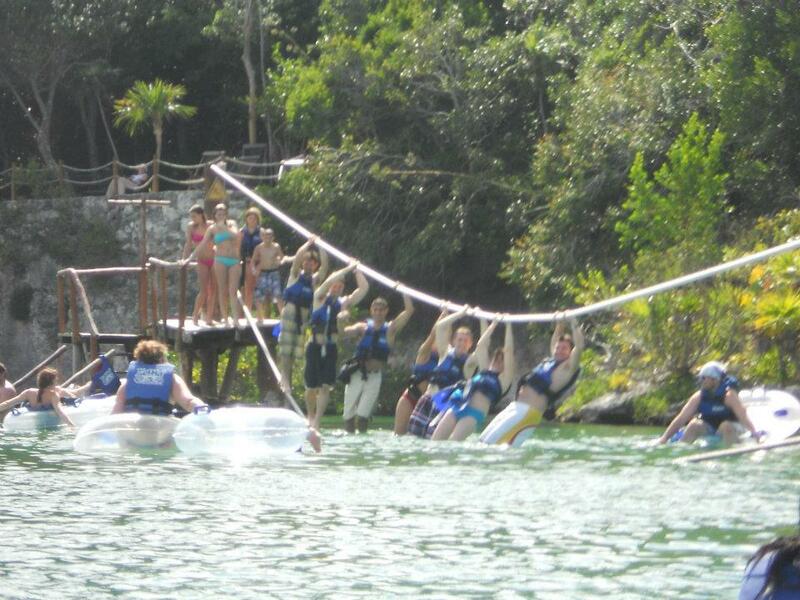 Xel-Ha was an amazing experience and I would love to visit again if I ever make it back to that area. For anyone looking for a fun activity and something everyone can enjoy, I highly recommend it! Not much to relay here. We spent the entire day laying on the beach under a cabana. We drank more drinks in the entire day than I have probably ever consumed. I didn’t even feel it because I was so relaxed all day. The only thing that could have made that day any better would have been less wind. Less wind = less sand plastered to our entire body. But I really shouldn’t complain. I was in relaxed paradise with a book in one hand and a drink in another. Life was goooood. 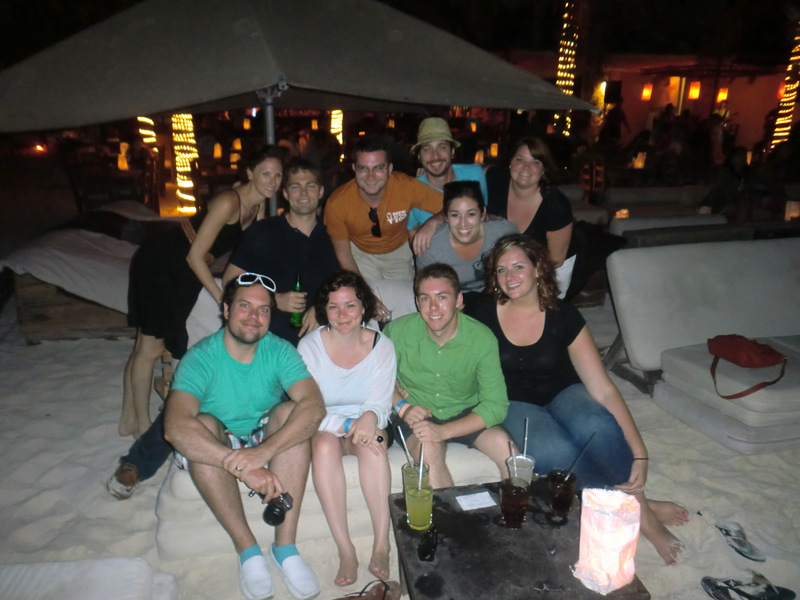 We ended that day with a party on the beach put on by LivingSocial. It was a farewell party. 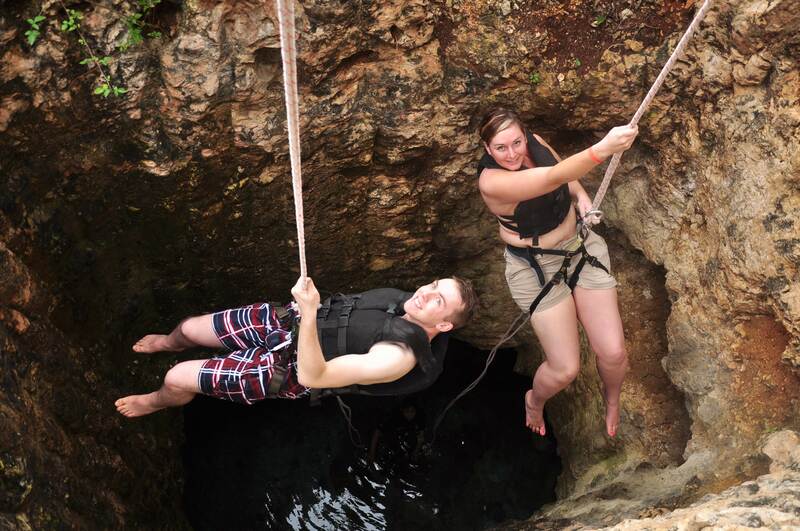 We got to hang out with all the people we enjoyed so much during our trip and it was a great way to wrap up the trip! I miss those people already and secretely hope that one day we’ll all wind up together on a LivingSocial adventure again.